Product Consists :Golden Plated Rose (Size : 6 inch), Silver Indo Western Neck Piece Accessories with Red Beads along with Red Sling Bag. Make special efforts for your mother by gifting this and wish her Happy Mothers Day. Enjoy the day with special gift like Complete Mothers Day Combo for Mom full of joy and love, for sure your mom will say thanks to you for creating such a beautiful moments for her. Mothers Day gifts can be gifted for plentiful reasons with their own meanings so special thing is with one mouse click you can order. Add a special touch to the lively and youthful personality of your mom through this gift set from Giftacrossindia. Mother day is very important day for every child. Love can't be define it is only observed while sending these types of gifts on Mothers Day, Birthday, Anniversary and Many more. Giftacrossindia bring to you a mind-blowing collection of Mothers Day Gifts that give you so many gift options. Check out our Mother Gift shop that will help you to choose the best gift for your loved ones. 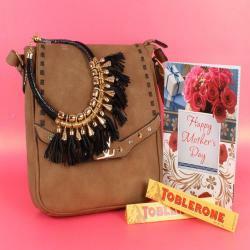 Giftacrossindia.com brings to you this awesome gift items, which is all set to make mom to feel special and more special. Browse your favorite products, it is very conveniently available for online shopping from anywhere in India with Free Shipping. 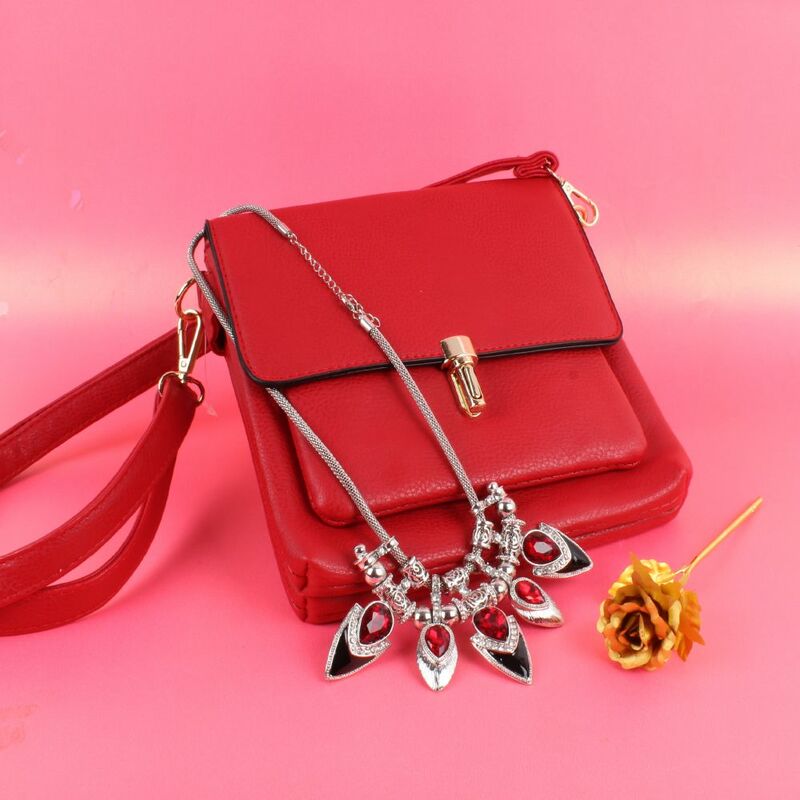 Product Consists :Golden Plated Rose (Size : 6 inch), Silver Indo Western Neck Piece Accessories with Red Beads along with Red Sling Bag.